Thomas Guthrie D.D. 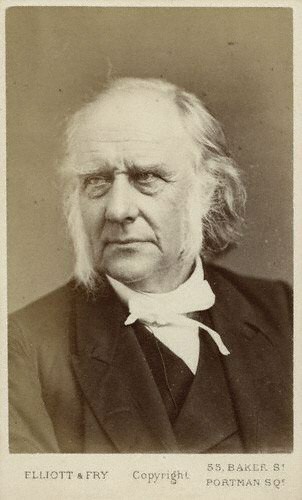 (Doctor of Divinity) was a popular Scottish preacher, writer, and Christian philanthropist who lived from 1803–1873. Born at Brechin in Forfarshire, Guthrie’s early life was spent in his native town, where his father was a merchant. His wife, Ann, was the daughter of the Rev. James Burns, one of the ministers of Brechin. Together, they had ten children and their family was well known for their warmth and hospitality. Unconscious of the change when it began, they know not when or how it happened. And thus, with many, the dawn of grace resembles, in more respects than one, the dawn of day. It is with the spiritual dawn of many—with the breaking of their eternal day—with their first emotions of desire and of alarm, as with that faint and feeble streak which brightened and widened and spread, till it blazed into a brilliant sky. From a young age, Guthrie aspired to be a minister of the gospel. Though he studied surgery and anatomy under Dr. Robert Knox at Edinburgh University, he later concentrated on theology and was then licensed to preach in 1825. But there were no opportunities for Guthrie to preach for the first five years, so he worked for his father’s banking office. He did not begrudge this time, however, because it gave him experience in business and in dealing with others that proved valuable in his gospel labors and giving. Eventually, he became the minister of Arbirlot in Angus and then he ministered at Free St. John’s chapel in Edinburgh. He had a great presence and masterful powers of speech. Thus, he had a strong, godly impact on many. Guthrie gave to a wide variety of causes. He promoted temperance (and, in fact, wrote a pamphlet entitled, “A Plea for Drunkards and against Drunkenness”). He founded Ragged Schools, which provided free education and food to destitute children. He raised significant funds for church manses and their ministers. Thus, he cared for the poor, the oppressed, and the people who lived for the sake of Christ. Much of what he gave was in the context of his own pastoral ministry. He taught in Sabbath schools and Bible classes. He organized libraries for the upbuilding of his people. He advocated for the rights of those who were less wealthy and less powerful. He worked hard to become a better preacher so that more might know Christ—including those who were increasingly dear to him, the poorest of the poor. Thus, Guthrie became both a great philanthropist and a great preacher. Guthrie died in 1873 at the age of 69. Throughout his life, he was devoted to honoring Christ and proclaiming him to others. As he once said, “It cannot be too often, or too loudly, or too solemnly repeated, that the Bible, which ranges over a period of four thousand years, records but one instance of a death-bed conversion—one that none may despair, and but one that none may presume.” Such passion and compassion characterized his remarkable, generous life.